Chicken Casserole with Ritz Crackers might be one of the easiest chicken casseroles I’ve ever fixed. 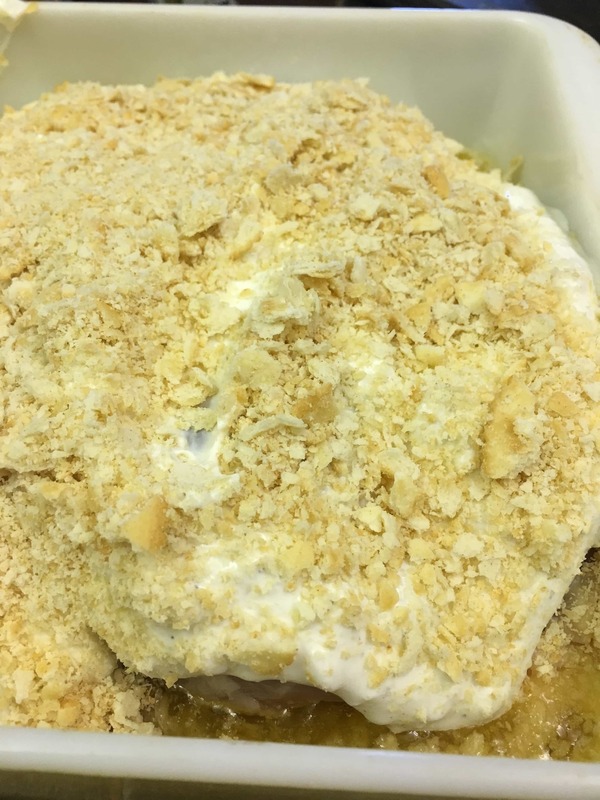 And, it has ingredients that I looooove–sour cream, butter, and Ritz Crackers. I am all about trying to get supper on the table as fast as possible. We have church on Wednesday nights, school activities, and lots of running around. So, at the end of the day, I am super tired and don’t always want to spend a lot of time preparing family meals. It does take about an hour to cook, but you don’t have to be in the kitchen more than about 5 minutes, and it’s one of the great comfort food recipes. 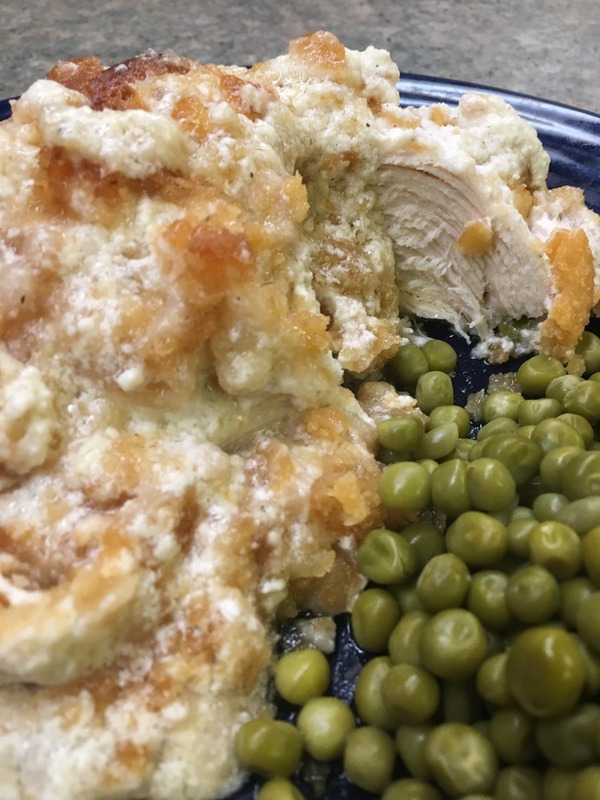 Ritz Cracker Chicken is perfect for taking five minutes to prepare. If you’re looking to save some money on food, you can plan ahead and can get inexpensive chicken from Zaycon Fresh, freeze it, and save a ton of money. You order online, for a super low price (often chicken breasts are $1.99 a pound, and they always have coupons for more savings if you sign up for their emails). The chicken comes frozen and pre-packaged. They come as a 40-pound package. You order online and select a pickup date and location. When the time comes to pick up the chicken you don’t even have to get out of the car (which is great if you don’t want to get kids in and out of the car). The delivery person will open your trunk and place the package inside. If you’re budgeting or trying to save money, you can actually help out at the delivery and get a really good discount on your meats the next go around. That’s what I call a savings! The chicken comes direct from the processing farm, so it’s fresher than ever! You can click here to sign up and check out their deals. They also sell ground beef, shrimp, and so much more. Recipe and directions listed below. Crush the Ritz Crackers in a Ziplock bag and set aside. I used 1 sleeve of crackers and that was plenty. 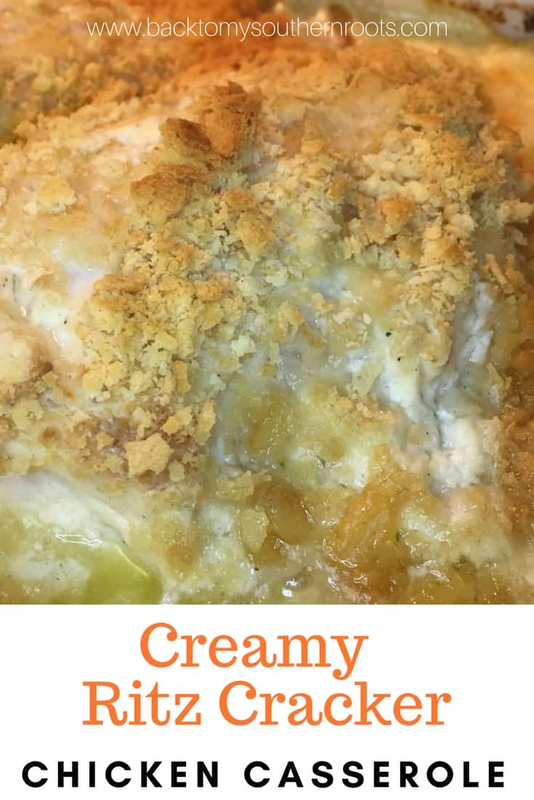 Melt the butter and pour into a 9″ x 9″ casserole dish. Sprinkle half of the crushed Ritz Crackers over the top. I could just about spoon it up like this and eat it. Who needs the chicken? Oh yeah, I gotta feed the family. Next, place the chicken on top of the Ritz Crackers. 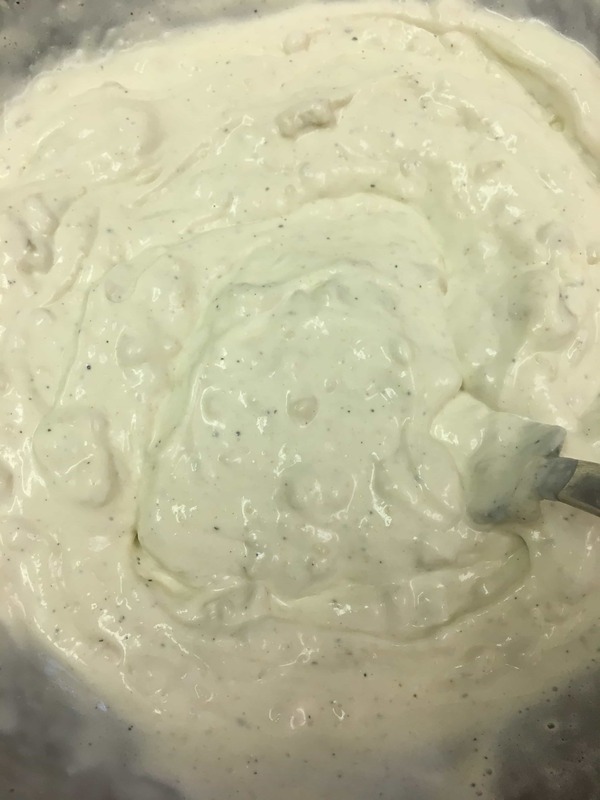 Mix the sour cream, condensed cream of chicken soup, chicken broth, salt, and pepper in a medium-sized bowl. Click here to make Homemade Condensed Cream of Chicken Soup. Pour the remainder of the Ritz Crackers on top of the chicken, and bake for one hour. If you have thick chicken breasts, you might need to cook a little longer. Thinner breasts can be cooked for approximately 45-55 minutes. 6 things to cook if you’re broke. This supper is under $10! 1 (8 Tbsp.) stick of butter (melted). 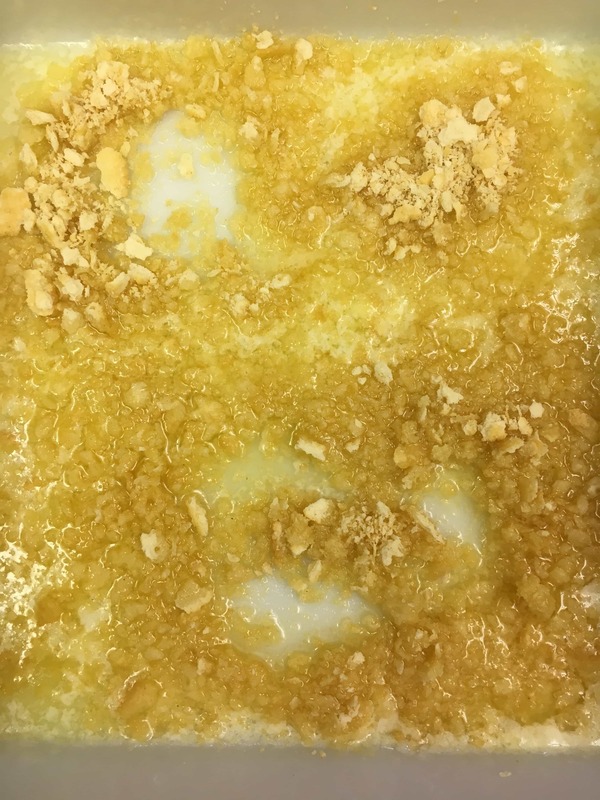 Melt the butter and pour into the bottom of a 9" x 9" casserole dish. Sprinkle 1/2 cup of the Ritz Crackers over the butter. In a medium-sized bowl, mix the sour cream, condensed cream of chicken soup, chicken broth, salt, and pepper. Sprinkle the remaining Ritz Crackers over the top. Bake uncovered for 1 hour.